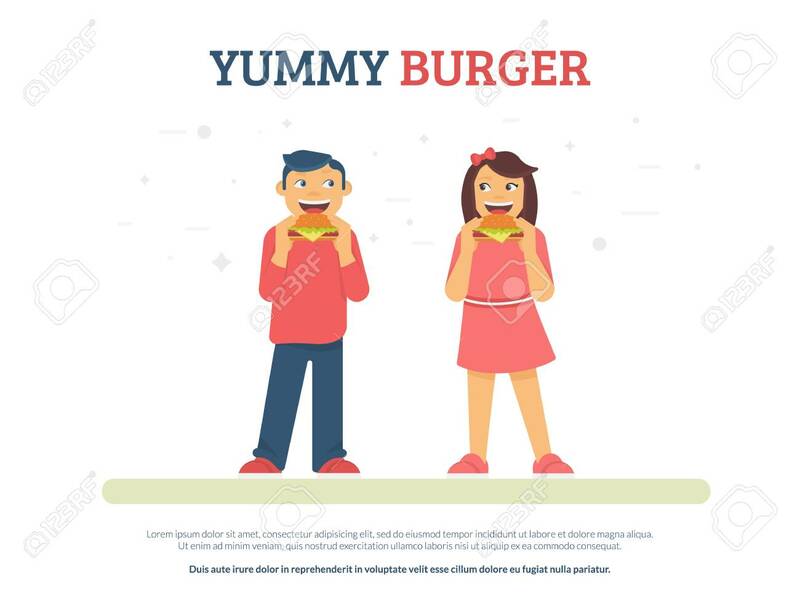 Yummy Burger Concept Flat Vector Illustration Of Funny Boy And Girl Eating Burgers. Happy Friends Standing With Junk Food Isolated On White Background With Copyspace For Promo Text Lizenzfrei Nutzbare Vektorgrafiken, Clip Arts, Illustrationen. Image 104432889.